Get an EMC product Approvals Testing Quote! EMC testing of Commercial and Consumer products is usually mandated. Performed to achieve correct operation, in the same electromagnetic environment as different equipment. And to test the avoidance of any interference effects. EMC testing is usually legislated and mandated for most regions worldwide. Including CE mark for Europe the FCC for North America, for Canada ISED and the RCM mark for Australia & New Zealand. Other countries around the world also need EMC compliance. 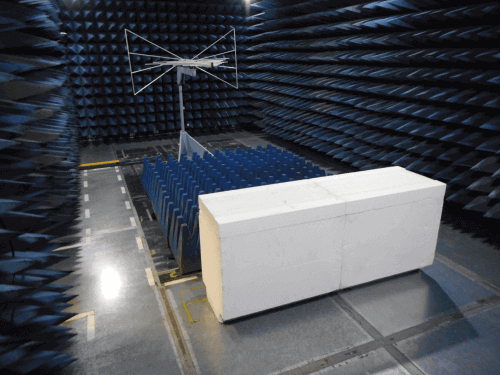 Please visit our global EMC testing requirements page for further details. EMC testing standards applied for testing can vary. Depending upon the region of sale, electromagnetic environment and application. For many regions similar or equivalent allowable product or generic standards exist. Where a product-specific does not exist generic EMC testing standards can be applied. Some products require type approvals, such as military equipment or railway equipment. These use specific military EMC testing standards or railway/locomotive EMC standards. Here is just a glimpse at what consumer and commercial product standards we capability to test. 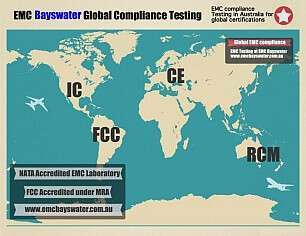 EMC Bayswater can provide accredited EMC and wireless product testing. Providing EMC testing against many local and global EMC standards. We can assist in getting you to market in the shortest possible time. Please see our dedicated compliance more information on the EMC compliance requirements. Each of the pages also includes useful links to external information sources. Get your product tested Today! To find out more please click here: Regulatory Compliance Mark. What’s The Difference Between EMI and EMC? Copyright 2019 © EMC Bayswater Pty Ltd. All rights reserved.